The rooms were wonderful, the food was delicious, and the service was outstanding. Worth every penny and more. Thanks Neil. 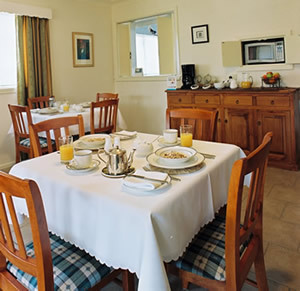 Your stay at Leloma is not complete without a substantial breakfast of your choice, plus fresh tea or coffee. Alternative diets can be catered for so if you have any special needs please let us know when you book your room. Please email or call to confirm availability &/or book as calendar may be out of sync with our booking system. Please note credit card details are required when booking and only processed with a $50 per room per night charge if cancellation is made less than 5 days prior to your arrival date. Full tariff is charged if cancellation is made the day before your arrival date. Payment can be made by EFTPOS with all major Credit Cards eg: VISA, MasterCard, AMEX, Diners, Maestro & Cirrus.